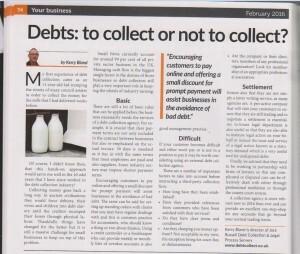 Debt to collect or not? Written by admin on February 15, 2016 . Posted in News. 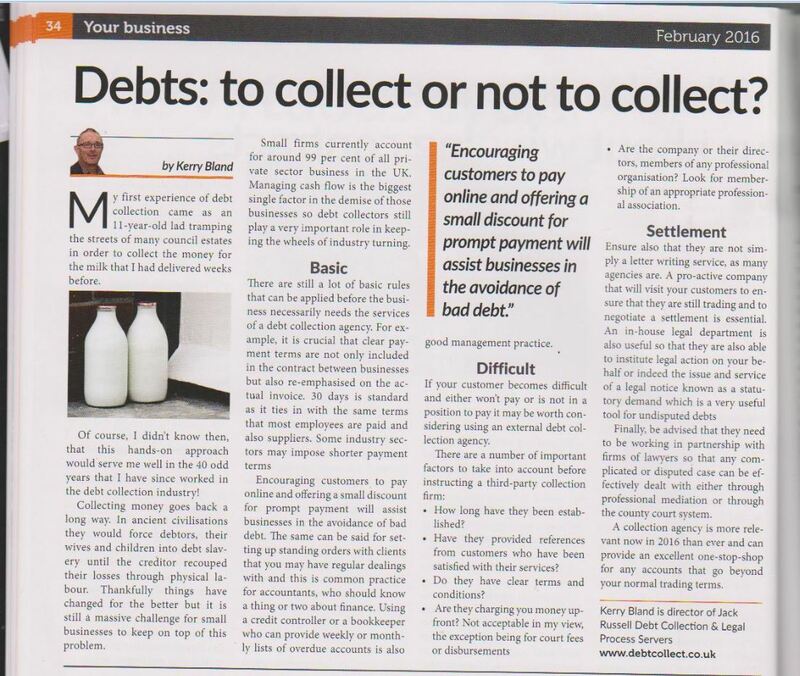 Here is an article published by our very own Kerry Bland, with advice on preventing bad debt.